It is key to remember that this bookstore is a place where all voices can be heard without preferential treatment being given to anyone person in particular. A few months ago, a small collective came together with the common goal of establishing a feminist bookstore in Montreal. This fast growing project quickly garnered strong interest and has revealed a distinct need within the community. These days, the collective is moving forward with the hope of opening it’s doors to the public within a year. The feminist bookstore project was the brain child of ten individuals who, surprisingly, differed in terms of societal status (librarians, litterary students etc.). The very beginnings of it all happened almost by chance when a coleague of Marie-Ève, a librarian who happened to have misplaced a copy of Virginia Woolf’s A Room of One’s Own, suggested opening a specialized bookstore. The suggestion sparked discussion among her peers. Since then, the project has continued to progress steadily and a time line is now on the horizon. 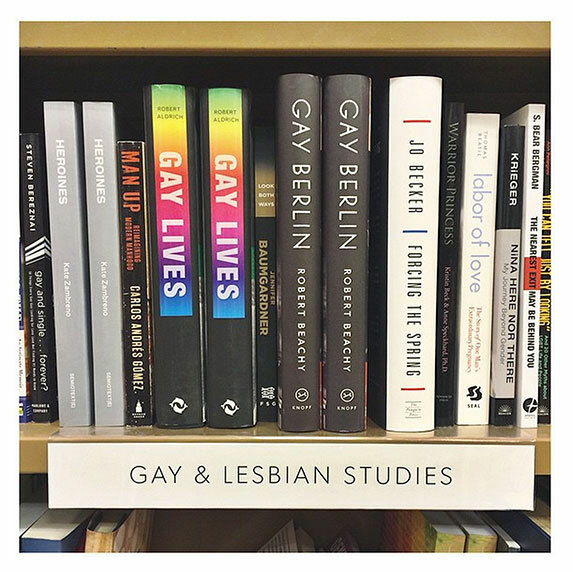 The main purpose of the bookstore is to create a communal space capable of showcasing different LGBT and feminist works. Marie-Ève remembers “the last feminist bookstore which was called Androgyne. According to studies conducted on bookstores in Quebec, its success was mainly due to their diverse offering of publications. It is very important for us to remain open to various types of feminism”. This means thinking of feminism in a broader sense, staying abreast of other issues related to minorities whether they are related to racism or colonialization and “proposing different kinds of theoretical and litterary works that would not be removed based on the fact that they were written by women”. It is key to remember that this bookstore is a place where all voices can be heard without preferential treatment being given to anyone person in particular. All previous feminist libraries in Montreal were forced into closure for a number of reasons, societal changes in the seventies and eighties, increases in book prices and higher rental costs. Currently, one might think that the feminist cause holds very little interest in todays community. However, as stated by Marie-Ève: “I came to realize that my idea of founding a feminist bookstore was not new. That being said, a lot of people were actually ready to invest, participate, volunteer, make food and do just about anything that was needed in order to build the feminist bookstore. People were ready to do what was needed in order to help create a space filled with anything from comic books and teen novels to poetry. Litterature allows for creation”. Furthermore, after numerous meetings with libraries like Violette and Co. in Paris and Éditions du remue-ménage, the collective really wants to continue its networking ambissions notably with community organizations like the FFQ (Fédération des femmes du Québec), university chairs such as IREF (Institut de recherches et d’études féministes) and involved teachers. This is their main goal before launching a financing campaign. The feminism bookstore project strives to be both an visible and accessible means of offering a wide array of litterary content to the community. It is also a means of highlighting the importance of librarians and their work. If all goes according to plan, this project could come to light by 2016.